I recently moved apartments in Hoboken and now I live pretty close to an Everlast boxing gym. Boxing is definitely not for me, but there is a stellar Strength and Conditioning class that I’ve started taking 1-2 times a week. It’s only 45 minutes long which is a perfect length of time. I’m usually dying by the 30 minute mark, so it’s good to know that we’re at least in the home stretch by then. I bring this up because ever since these Chocolate Stout Pretzel Peanut Bars have entered my life, I feel like i need to spend even more time at the gym. These dessert bars are so addictive! Honestly, if you’re going to have a vice, it should be something like a mixture of pretzels, dark chocolate, and peanut butter. This is going to shock you, but I’m not a huge peanut butter fan. I don’t dislike it, but I don’t go crazy over it. At least not until now. I absolutely loved the peanut butter flavor in these bars. I just can’t get enough of them. And, this is why I gym. Oh, did I mention that there is also stout beer in here? We already had so many reasons to love this dessert, and now there’s one more. Granted, there’s not a lot of beer and since these bars are baked, they’re still fine for kids to eat. The stout just adds a subtle malty flavor to bars. Friendly reminder: St. Patrick’s Day is right around the corner. I’m sure your family and friends would really enjoy if you decided to turn up on their doorstep with a plate full of these treats. So yeah, you’ll be seeing me at the gym some more, as I’m pretty certain these dessert bars will be in my oven quite regularly from now on. Sorry, not sorry! 1) Preheat oven to 350 degrees F. Spray an 8x8 baking dish with cooking spray, or line with parchment paper. Set aside. 2) Add the peanut butter and melted butter to a large bowl. Use an electric mixer to beat the two ingredients together until incorporated. 3) Pour in the brown and white sugars. Mix together again until fully combined. 4) Add in the eggs, beer, and vanilla, beating each ingredient in until mixed well. 5) Stir in the salt, flour, and 1/2 cup chocolate chips. 6) Pour the batter in the prepared pan and spread it as evenly as possible. Top the batter with the remaining chocolate chips and the pretzels. 7) Bake until the edges have set and the center is slightly wobbly, about 30 minutes. 8) Allow the bars to cool before cutting and serving. For this week, I’ve made you some soup! I will say that the description of “soup” is a bit liberal. 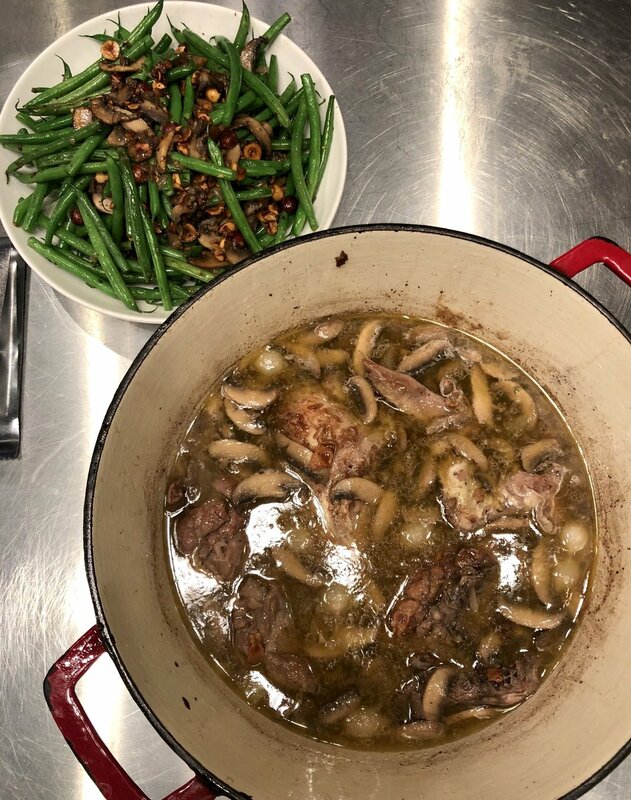 I found that this was a bit more of a stew consistency (more to come soon with another stew I have planned for you!). 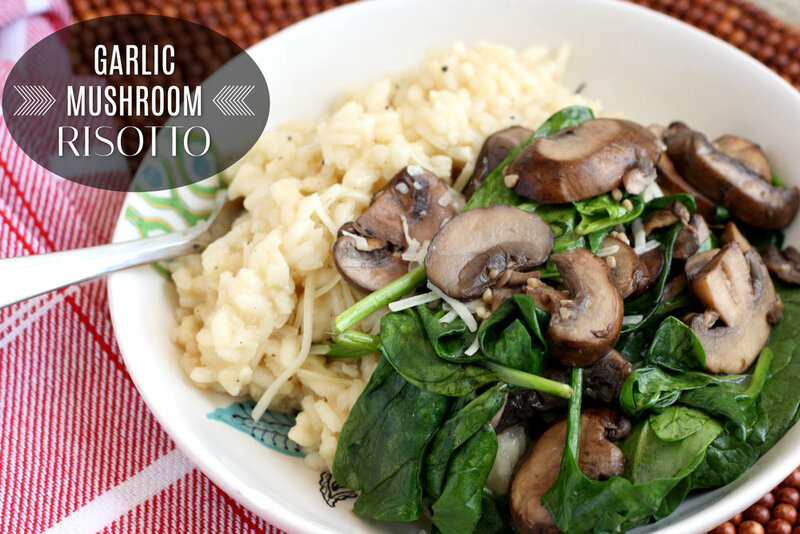 But really, this was quite tasty and so easy to make on a weeknight. Bonus - I made sure to add more cheese and basil than called for in the original recipe, because who doesn’t need more basil and cheese in their life? By the way, did I mention that we’re going to Paris in May?!?! I can’t wait! I haven’t been to Paris since 2008, so it’s been over 10 years and I’m so so ready to head back again. Our diet is basically going to consist of croissants and coffee and wine. I’m pretty sure this is a sustainable lifestyle. I’m into it. So now the next few weeks will be filled with online searches for Paris excursions and tours and museum visits, and clearly we will need a map of every boulangerie in a one-mile radius from our Airbnb. If you have recommendations, please send over as well! 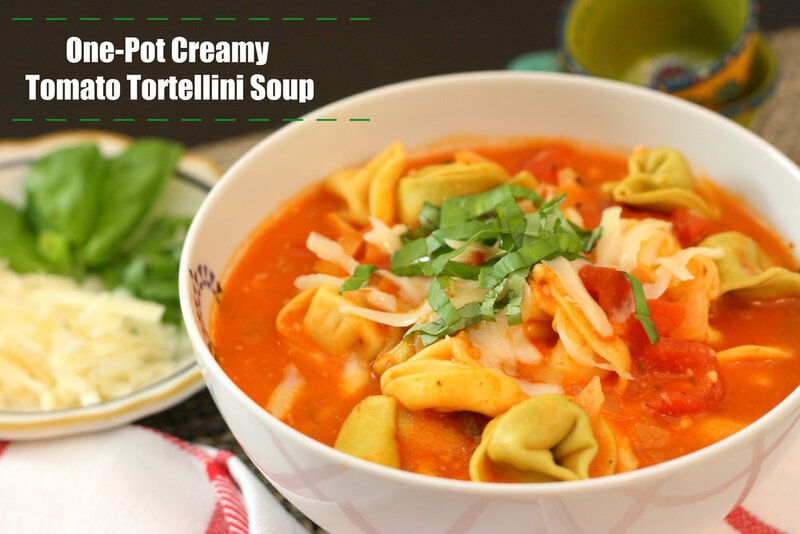 While we eagerly await our trip, please enjoy this amazing tortellini soup. My gift to you! 1) In a large 6-quart pot, add the onion, garlic, olive oil, and rosemary. Saute the ingredients over medium heat for 5 minutes, or until the onions have softened. 2) Pour in the diced tomatoes, tomato sauce, oregano, basil, salt, pepper, chicken stock, and cream. Give the mixture a stir to combine the ingredients, then allow the soup to simmer for 15-20 minutes. 3) Toss in the tortellini and cook for 7-10 minutes, or until the pasta is tender. 4) Stir in the Parmesan cheese. 5) Serve immediately with additional Parmesan cheese and fresh basil if desired. I know I’ve been away for a while. I can explain. 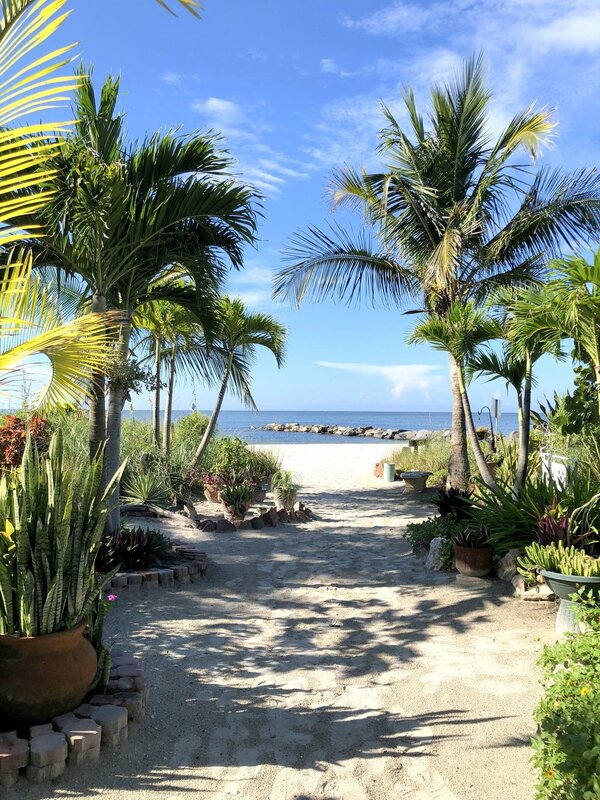 Things got a little bit hectic as we were heading into the holiday season so I made the executive decision to take a break from this blog. Not that I don’t love it, but I just couldn’t keep up with everything. Things will still be busy through January, as I’m moving apartments in a few weeks and it’s a pretty busy month for my job. At any rate, I’m hoping to come back to this here blog with a vengeance in February. I don’t have an actual date in mind yet but know that I’m going to sporadically be coming in and out of this forum for the next month or so until I get back into a schedule. The interesting thing is that I’ve actually been making a ton of new-to-me recipes over the past few months. I’ve just not been photographing and posting them here. So I have quite a few recipes that I need to re-make and take photos of so that I can show you! Also by the way - Happy Hanukkah, Merry Christmas, and Happy New Year! Please know that I’m wishing you and your family and friends the best! I’m so happy you’re (still) here. And I hope you stick around a bit more. 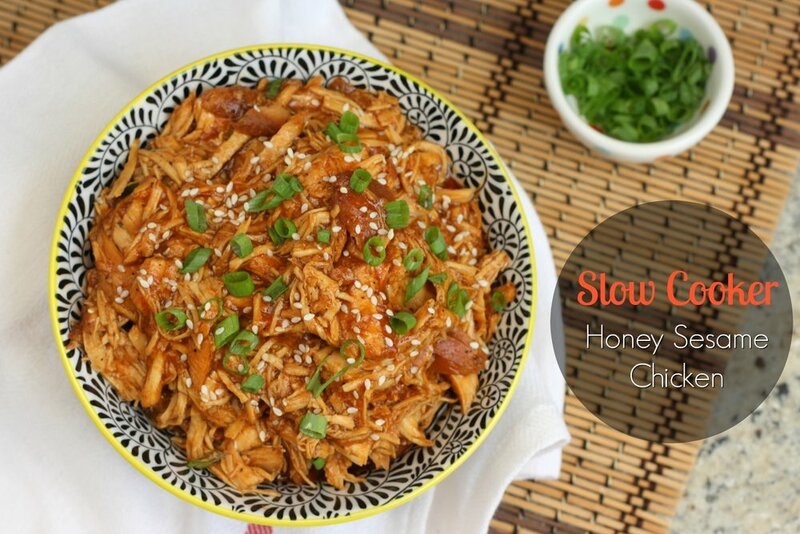 Here is a slow cooker recipe for you, as we try to ease into the New Year and out of our busy Christmas/Holiday season. This seems like a very appropriate recipe with which to start of 2019! 1) Season the chicken with black pepper on both sides. Place the chicken pieces in the slow cooker in a single layer. 2) In a small bowl, use a whisk to combine the soy sauce, honey, tomato paste, rice wine vinegar, garlic, garlic powder, ginger, water, sesame oil, onion powder, and chili sauce. Pour the mixture over the chicken in the slow cooker. 3) Set the slow cooker to Low and cook until the chicken is cooked through and tender, about 2 hours. 4) Move the chicken to a cutting board and use two forks to shred the chicken breasts into smaller pieces. Set aside. 5) In another small bowl, whisk the cornstarch with 1/4 cup water until dissolved. Pour the cornstarch mixture into the slow cooker. Cover the slow cooker and cook for 20 minutes on High, or until the sauce has thickened a bit. 6) Add the chicken pieces back into the slow cooker and toss to coat the meat with the sauce. 7) Serve warm, and garnished with sesame seeds and scallions if desired. I know….I haven’t been around. I’m working on it! But life is happening and I’m just trying to keep up. 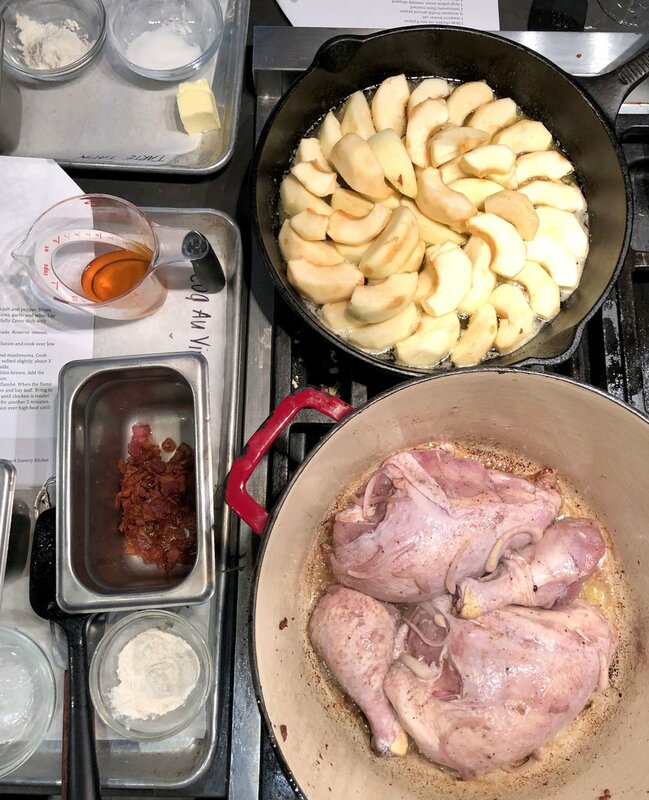 While I work on actually cooking more….here are some recent shots to show what I’ve been up to instead. Fall is my favorite season and I just can’t get enough of the crisp weather, freshly-picked apples, and ALL of the pumpkins and squash. Can we also enjoy this while drinking our obligatory cup of PSL? Yes, please. My family came to visit at the end of August and we FINALLY got to see The Lion King musical on Broadway! I know that I talked about Burger & Lobster in my last LTL update, but I went yet again! And I already have plans to visit in November. Judge not. 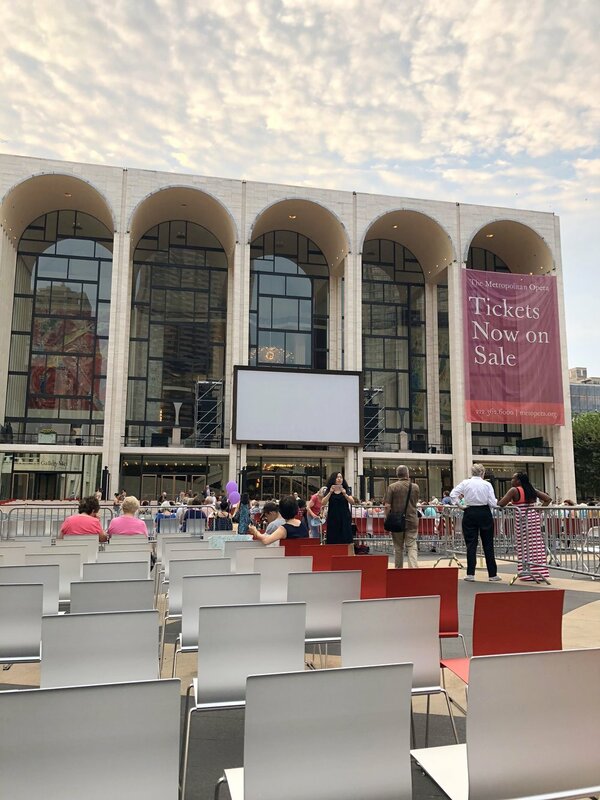 This is my 3rd year attending the Metropolitan Opera Summer HD Festival. It’s outdoors and a pre-recorded opera is shown onscreen as the sun sets. Did I mention that it’s also free? It’s a great way to enjoy some of the final summer nights, as it happens usually the week before the Labor Day holiday. I will mention that the past 2 years, it was pretty chilly by the time the opera was finished, but this year it was hot and humid the.entire.time. Gross. But the opera was amazing! Trader Joe’s is my new favorite grocery store. I recently found out they sold a convenient meat and cheese platter, which basically means I’m eating meat and cheese for the next 2 days. Thanksbye. We finally went apple picking! I haven’t been in years but this year I reserved a rental car back in May (!!!) so that I would have absolutely no excuse not to do this. It was so much fun! I guess I should start planning next year’s trip now? 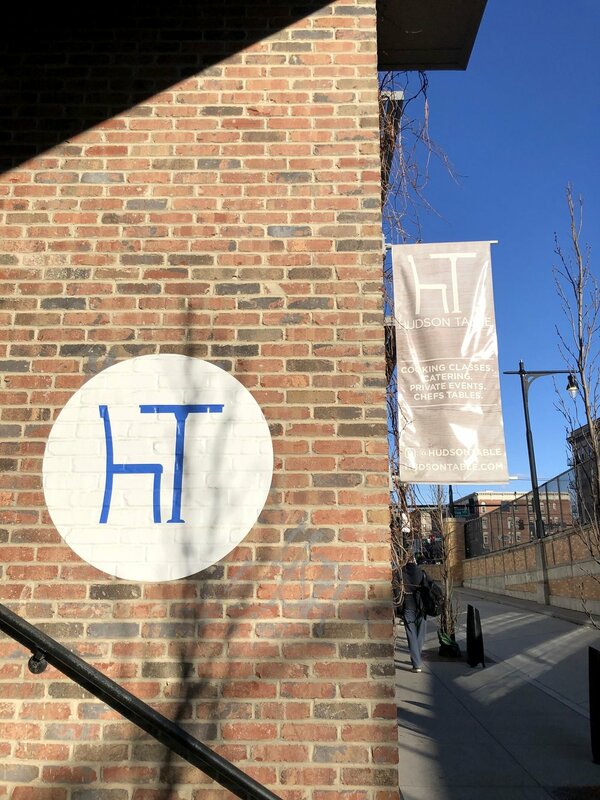 I’ve been taking Sunset Yoga classes in the Antique Bakery event space in Hoboken. Two local yogis, Meghan Kramer and James Calleo, started this monthly event this summer. I’ve been to a few so far and they are so much fun. Imagine a hundred-person yoga class in a large beautiful room, overlooking the NYC skyline, and with the sunset on the horizon. Then, after you finish the class, there are usually some alcoholic treats to enjoy. I received one of the best birthday presents ever - an Instant Pot! I love this so much. I need to experiment more, but this is my inaugural attempt at cooking with it. 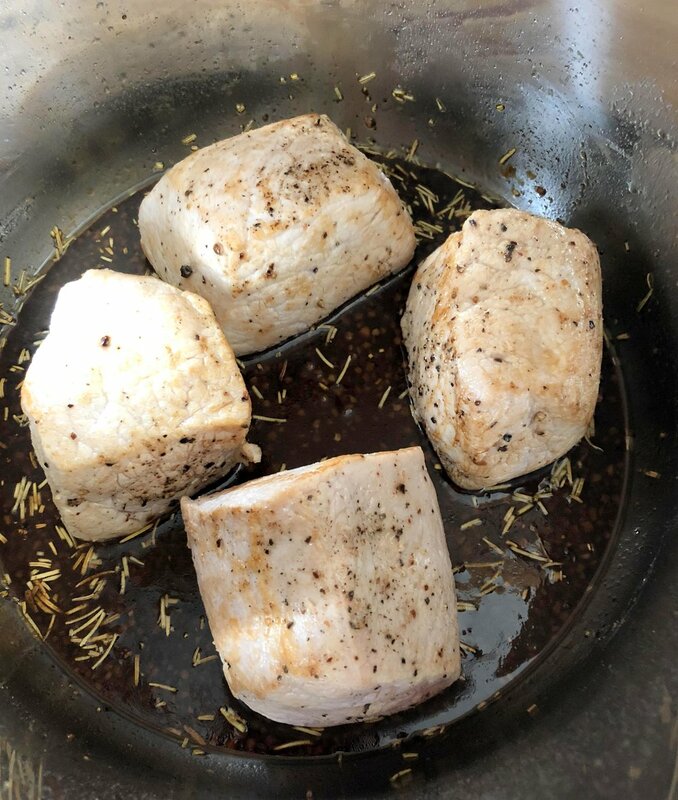 I made Rosemary Balsamic Pork Loins. No I didn’t take pics, but this was so delicious that I would definitely make it again! 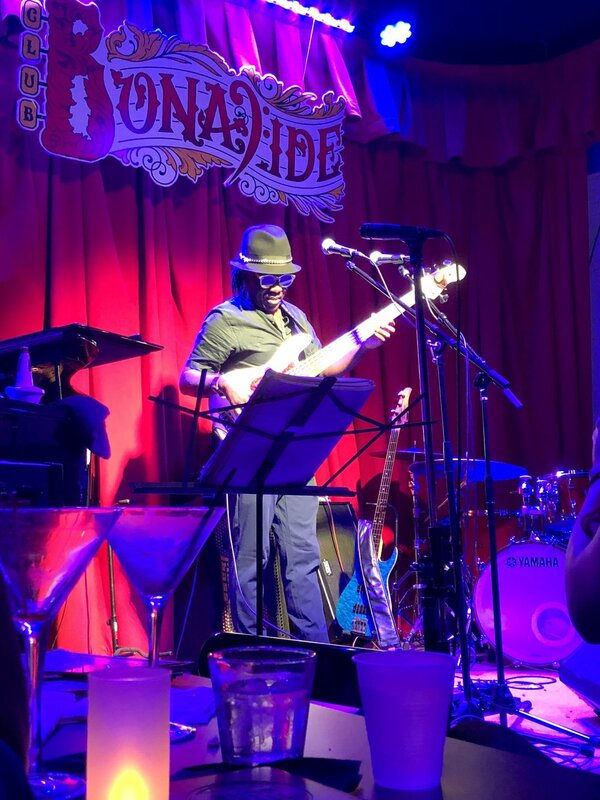 We saw Richard Bona at his club, Club Bonafide. The show was fantastic! 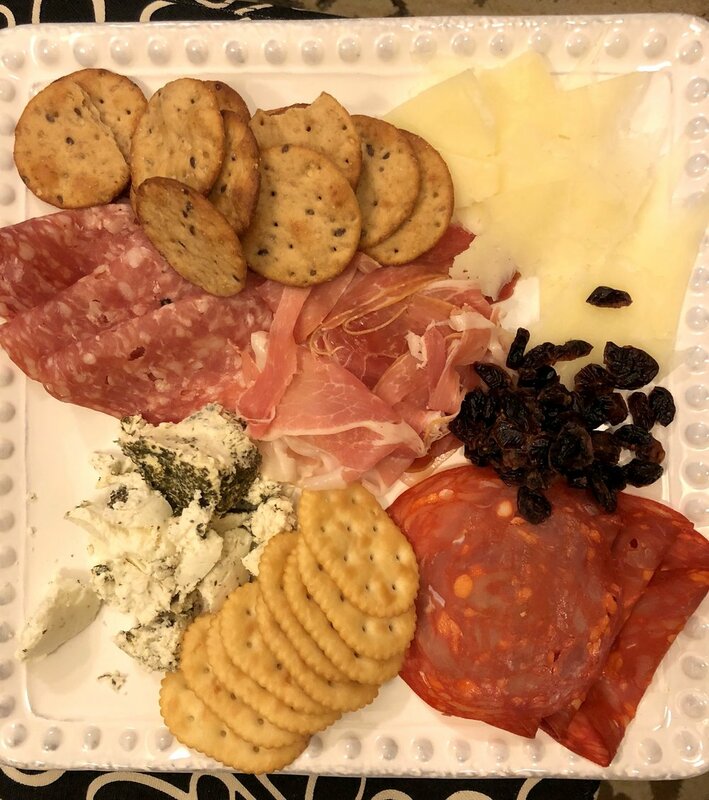 All about that meat and cheese plate. This is using the meat from TJ’s. We actually ran out of the cheese that came with the package. Thankfully I hoard cheese, so a crisis was averted. Flying out of JFK for a long weekend trip to Florida! The NYC skyline is so pretty. Lunch in Tampa at The Rusty Pelican. Loved their decor and their food. 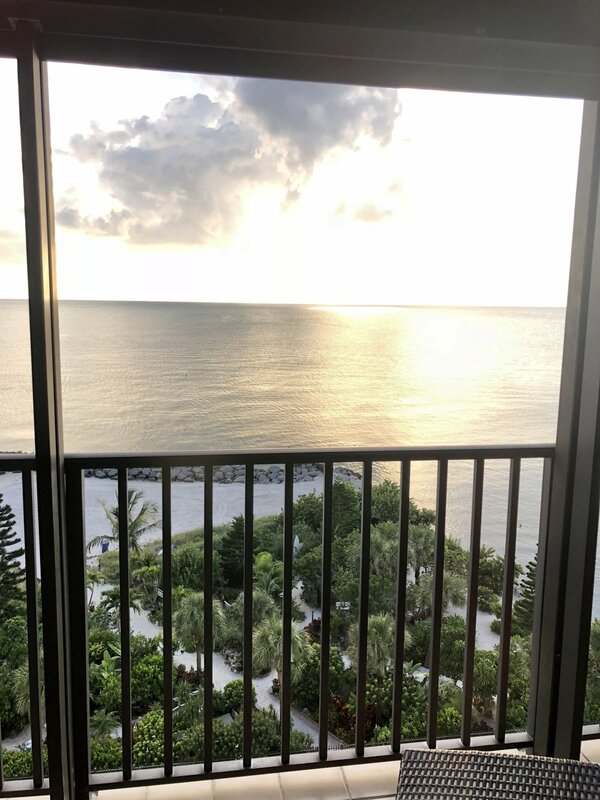 My friend’s balcony in Tampa. Yessssss! Got our culture on at the Salvador Dali Museum in Tampa. This was my favorite painting. There was also a Clyde Butcher exhibit at the Dali museum. This shot looks like it’s moving. I’ve been having a moment with salads. I want to eat ALL the salads! Sunday morning walks on the beach. Bathroom pic at The Oxford Exchange. I’m obsessed with it! Wall art in the hall leading to the bathroom. I could have stood here for a while. Lunch views at The Oxford Exchange. 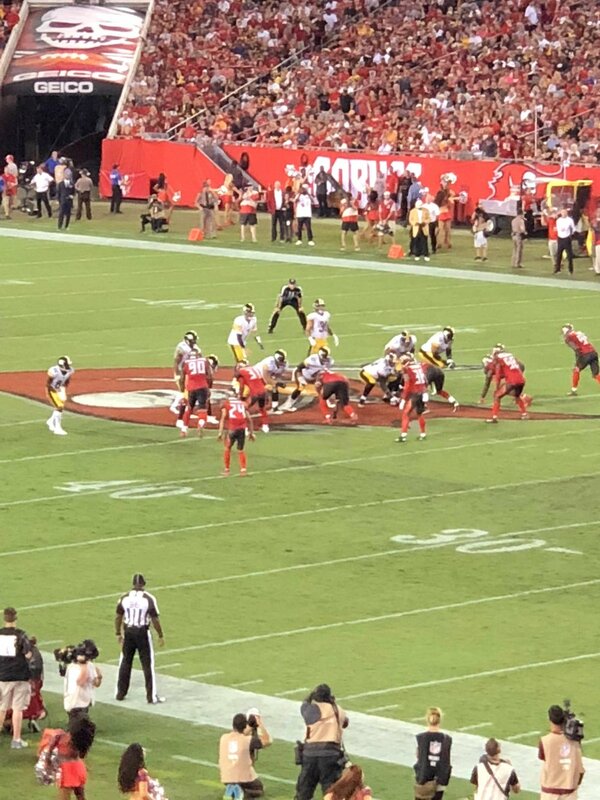 Not the best picture, but the real reason we went to Tampa was to see our Steelers dominate over the Tampa Bay Buccaneers! Checked out the new Blue Ribbon Fried Chicken spot in Hell’s Kitchen. Yummy! This year’s Bacon & Beer Classic was hot hot hot! It was held at the US National Tennis Center and yes, there was a lot of bacon and a lot of beer. Alert! Trader Joe’s is filled with pumpkin items. Get ‘em while you can! 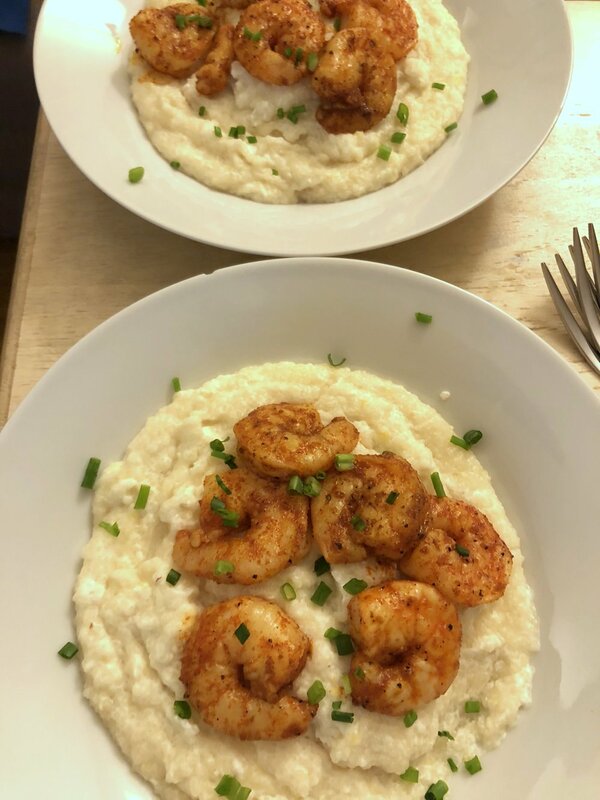 I revisited my Smoky Shrimp & Grits recipe. I forgot how good this is. Last week we saw Robert Glasper during his residency at Blue Note in NYC. He still has a few shows left on the schedule if you’re interested! The night we went, he was playing with Nicholas Payton and Christian McBride. I’m definitely interested in this halo halo. Nom! Mama Fina’s is the Filipino truth! I caught up with my dear friend Katie a few weeks ago and we had dinner at Pappardella. I’ll admit that we took a bunch of selfies before this one and I may not have looked my finest. How do you take a selfie with closed eyes when you’re the one snapping the picture…? Finally! 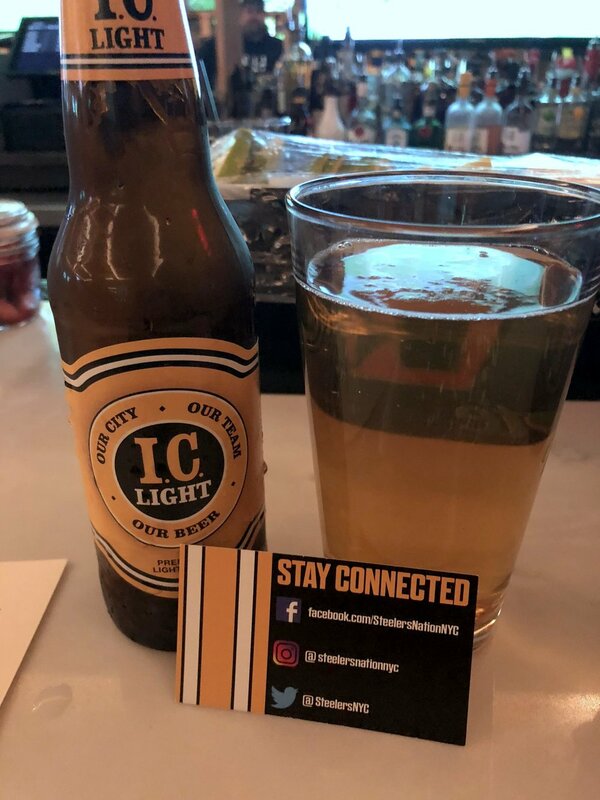 Some IC Light on the East Coast! Watched the Steelers play at The Ainsworth in the East Village, which is the new home of the Steelers Nation NYC fan club. BRIC’s 2019 Jazz Fest featured Terence Blanchard, featuring the E-Collective. Love love love!